Burns are damage to your body's tissues caused by heat, chemicals, electricity, sunlight, or radiation. Cool the burn to help soothe the pain. Hold the burned area under cool (not cold) running water for 10 to 15 minutes. Or apply a clean towel dampened with cool tap water. Remove rings or other tight items from the burned area. Don't break small blisters. If blisters break, gently clean the area with mild soap and water, apply an antibiotic ointment, and cover it with a nonstick gauze bandage. Apply aloe vera lotion/gel, or a burn cream like , which may provide relief in some cases. If needed, take an over-the-counter pain reliever, such as ibuprofen (Advil, Motrin IB, ), naproxen sodium (Aleve) or acetaminophen (Tylenol). Protect the burned person from further harm. But don't remove burned clothing stuck to the skin. Remove jewelry, belts and other restrictive items,especially from around burned areas and the neck. Burned areas swell rapidly. 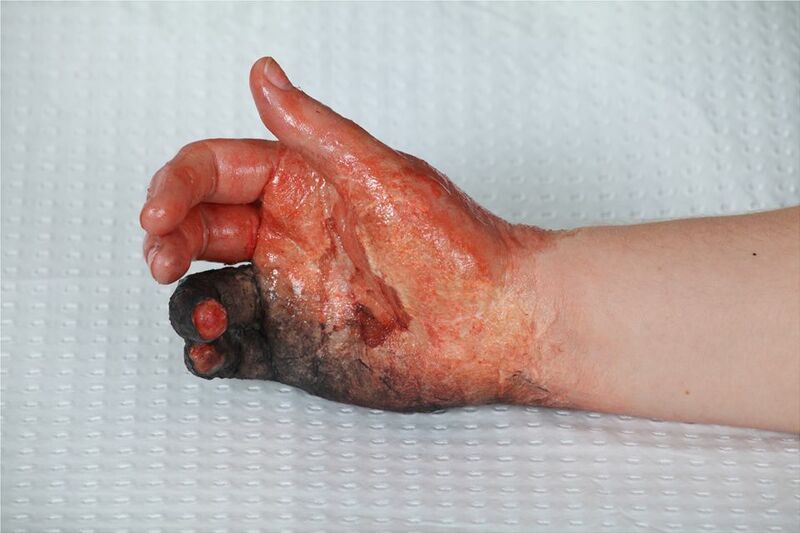 Don't immerse large severe burns in cold water. Doing so could cause a serious loss of body heat (hypothermia) or a drop in blood pressure and decreased blood flow (shock). Elevate the burned area. Raise the wound above heart level, if possible. Cover the area of the burn. Use a cool, moist, bandage or a clean cloth. Apply antibiotic ointment. Change the bandages daily. Watch for signs of infection.